Do white supremacists celebrate Black Friday? I’m asking this because I was at Suntec City Mall two days ago, which happened to be Black Friday, and noticed that the New Balance store was having a Black Friday sale. Wait a minute, I thought to myself. Didn’t I just read recently that New Balance has become the footwear of choice for white supremacy? As with many unsettling things happening in the world right now, it started after Mr Donald Trump was elected US president. This upset a number of anti-Trump New Balance shoe owners so much that they shared videos of themselves throwing their New Balance retro kicks into the rubbish or setting the shoes on fire in protest. Meanwhile, I still can’t bear to throw my old shoes away even though they’re so worn out that they look like they have already been set on fire. The New Balance guy has since clarified that the company doesn’t support Mr Trump per se, but is against the Trans Pacific Partnership (TPP) which Mr Trump opposes — and Singapore die-die must have. Wait, does this mean as a Singaporean, I should burn my New Balance shoes too? Nah, why bother? They look burnt anyway. 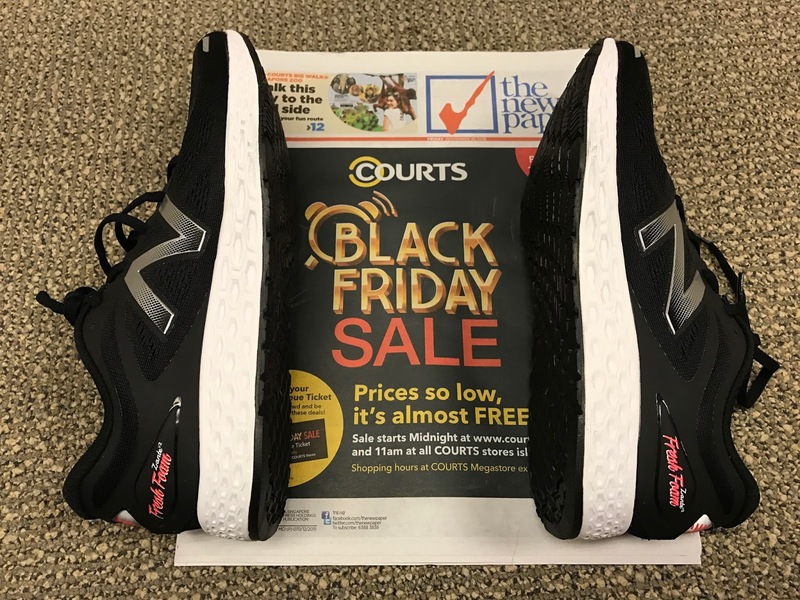 The reason New Balance opposes the TPP is that the US company manufactures parts of its shoes in the US and believes the TPP would doom American factories. “New Balance is making a gesture to support white people and to support US manufacturing. We need to support that. Uh... can’t white people already recognise one another just by, you know, being white? This is probably why despite being the “official shoes of white people”, New Balance didn’t have a White Friday sale. But why is it called Black Friday anyway? It’s not because it’s the day after the PSLE results are released and parents’ faces turn black. You know how I know PSLE doesn’t matter? 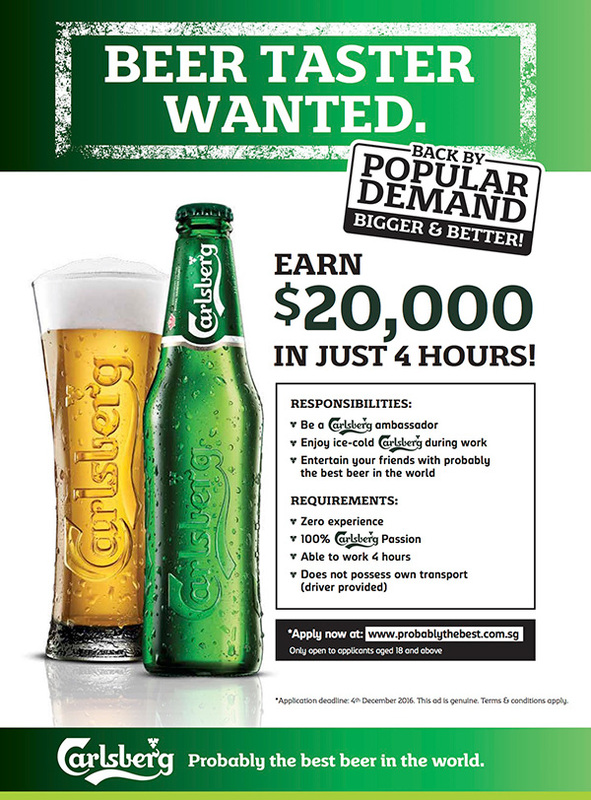 Because when you apply for probably the best job in the world, Carlsberg doesn't ask for your T-score. You just need to be over 18, have zero experience and really, really like Carlsberg beer. Black Friday is also not the day when retailers go from being “in the red” to being “in the black” even though this is a popular explanation. According to History.com, the term “Black Friday” was first used in the 60s to describe the day after Thanksgiving (every last Thursday of November in the US) because of the chaos created by the hordes of shoppers. Then “in the late 1980s… retailers found a way to reinvent Black Friday and turn it into something that reflected positively, rather than negatively, on them and their customers”. And voila, the “red to black” nonsense. Even though Thanksgiving still hasn’t quite caught on in Singapore yet (and why should it? Turkey just tastes like bad chicken), Black Friday is becoming like the year’s third coming of the Great Singapore Sale two weeks after Singles’ Day on Nov 11, the Orchard Road Business Association’s resistance notwithstanding. Which is why the New Balance store at Suntec is offering 20 per cent off storewide (including sale items) from Friday until today. I may not be a white person, but I bought a pair of New Balance Zante V2 running shoes for $79 (down from $169) just to be ironic. What colour are they? Black and white, of course.